If you ever wonder how to find out how much time you spent while watching Instagram pictures and video, the blog post is for you guys. You might have noticed that how much people are crazy for showing their pictures, photo editing skills, and their lifestyle to the world. With the increasing craze of socializing, the youth is spending most of their time precious time checking social media apps and services, and it’s scary. Instagram is one social networking service out of them. It has more than one billion active users, and the count is still increasing. But it seems like, the company don’t want their users to spend most of the time scrolling the feeds, and it’s okay. What do you think? 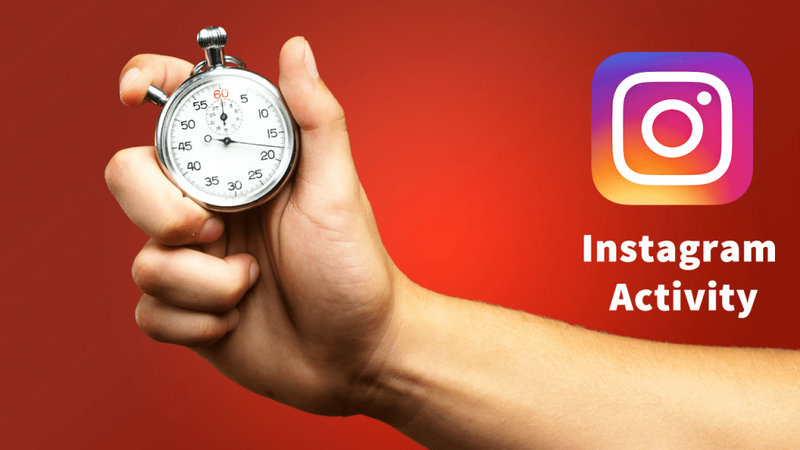 Instagram Activity is a handy feature the help users to find out how much time they spend using the app. This feature is available for both Android and iOS platforms. To get access to this feature, you need to update your Instagram app to the latest version available. 1. Launch the Instagram app on your Android or iOS device. 2. Tap on the ‘Profile icon‘ available on the bottom right corner. 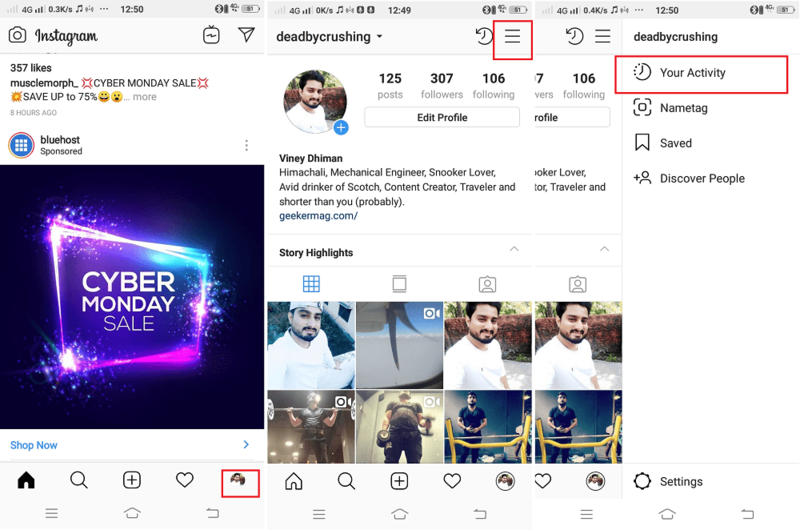 This will take you to Instagram profile. 3. Next, tap on the ‘Hamburger icon‘ available on the top right corner of the screen. This will launch the navigation drawer. 4. Here, you will find the new option named as ‘Your Activity,’ tap on it. This will take you to Instagram Activity page for your account. Here you can check the time you spend on Instagram. It also shows an average time spent per day with a bar-graph for each day. Tap and hold on a bar, and it will show you the time you spent on that specific day. Adding to it, the feature also includes an option for “Set Daily Reminder” to limit your daily usage. How to Set Daily Reminder? To set the reminder, tap on “Set Daily Reminder” available under Manage Your Time section below the graph. 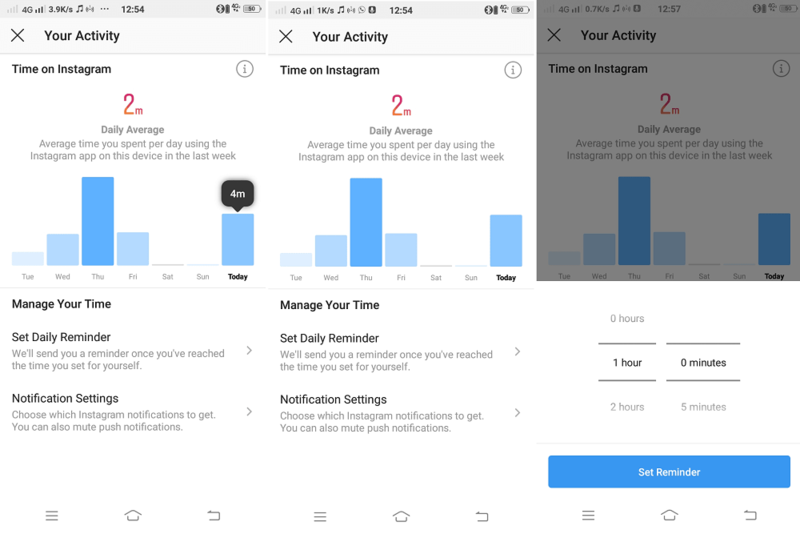 Now you can set the time you want to spend daily on Instagram, enter the timing constraint as per your choice and you are good to go. Apart from that, under this you will find “Notification settings“, you can also use this feature to have more control over the Instagram notifications. If you haven’t got this feature yet then don’t worry, the company might release the functionality for your country soon. Do you find Instagram’s Your Activity handy? Do you able to find out how much time you waste or spend on Instagram? Please share your thoughts in the comments.